Gigi Ford Zink is passionate about the environment, the extraordinary beauty of Australia, and, above all, the importance of family. 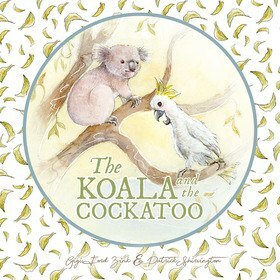 Kindness is an important theme in The Koala and the Cockatoo and how the animals all help to get baby Fluff the koala home. The birth of her beloved twin granddaughters, Isobel and Zara, in 2015 ended up being the catalyst for the book eighteen months later. After a twenty-year career in finance as a single mum, she has really enjoyed the whole creative process of publishing the book. She is now happily remarried and she splits her time between the US, Australia and Mollymook as often as she can. The north end of Mollymook Beach at dawn on a pristine day just can’t be beaten. Gigi Ford Zink currently serves on a couple of boards: Sustainable Business Australia and the Kind Foundation in the US.